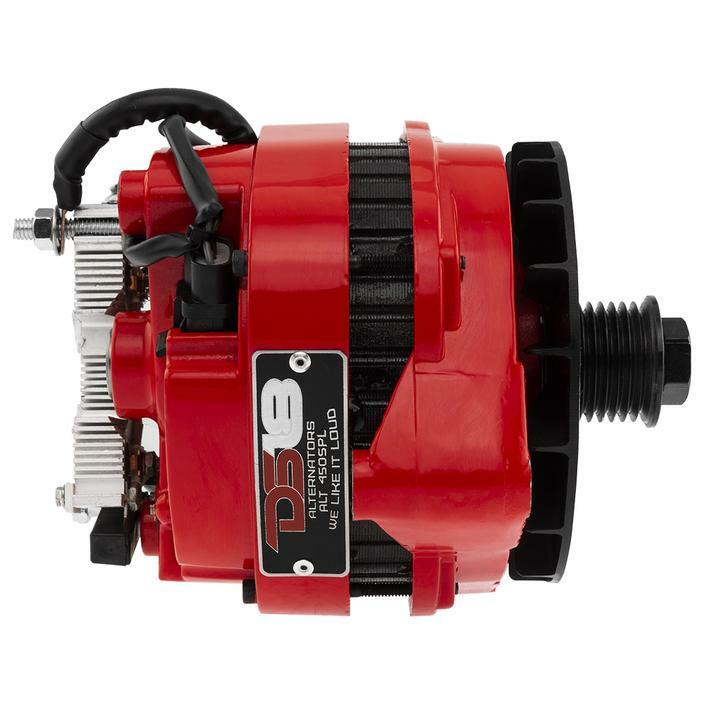 The DS18 ALT-450SPL Alternator uses BJT (Bipolar Junction Transistor), MOSFET and PWM (Pulse Width Modulation) technology to control its power; it has temperature sensors to protect the alternator preventing their destruction and digital display of voltage, as well as the possibility of varying its own range of work. 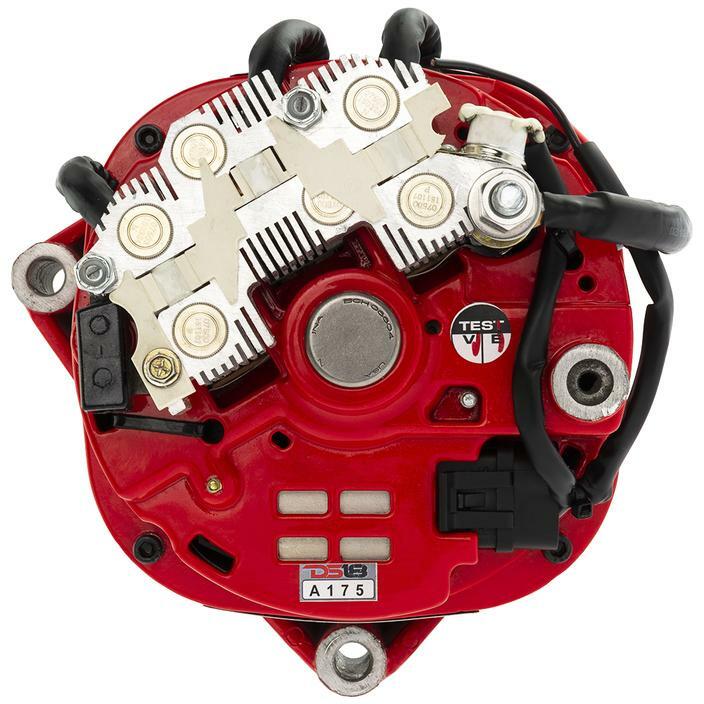 Just by turning a knob it can be set from 14 to 19V, which makes it suitable for 12, 14 or 16 volt systems without any problems. 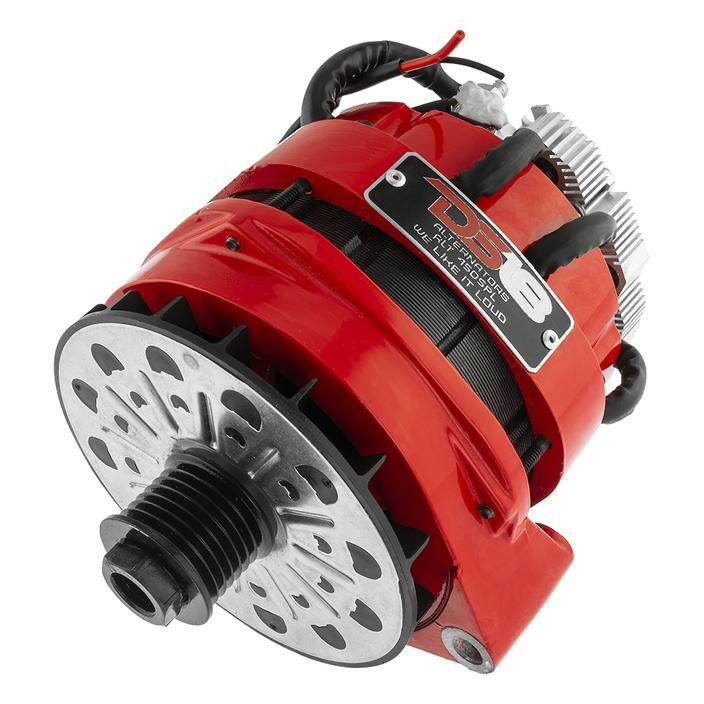 The DS18 alternators generate higher voltages and amperages on the market and our units are designed for competitors wishing to improve their maximum SPL. 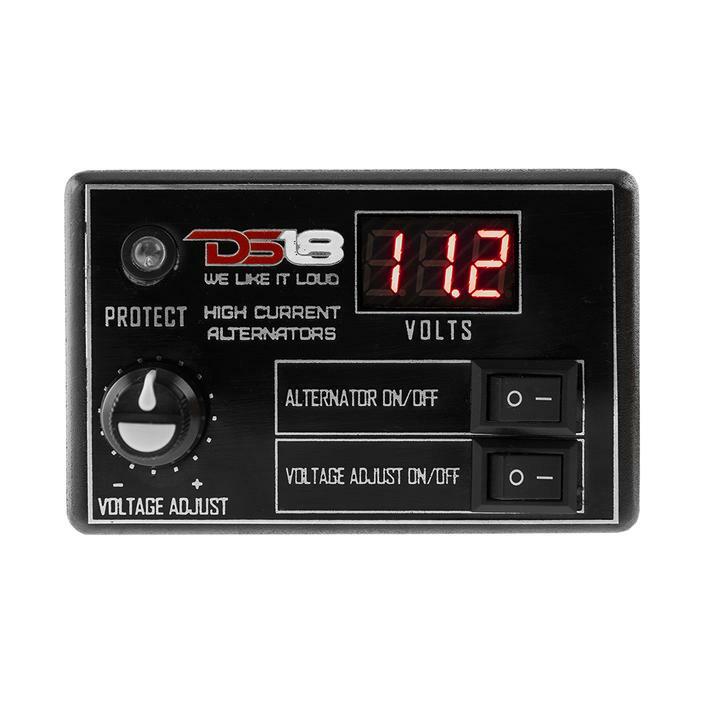 DS18 modules have the ability to turn on and off the DS18 alternator with just a switch of a button; you can turn on when needed and turn it off when it is not needed. 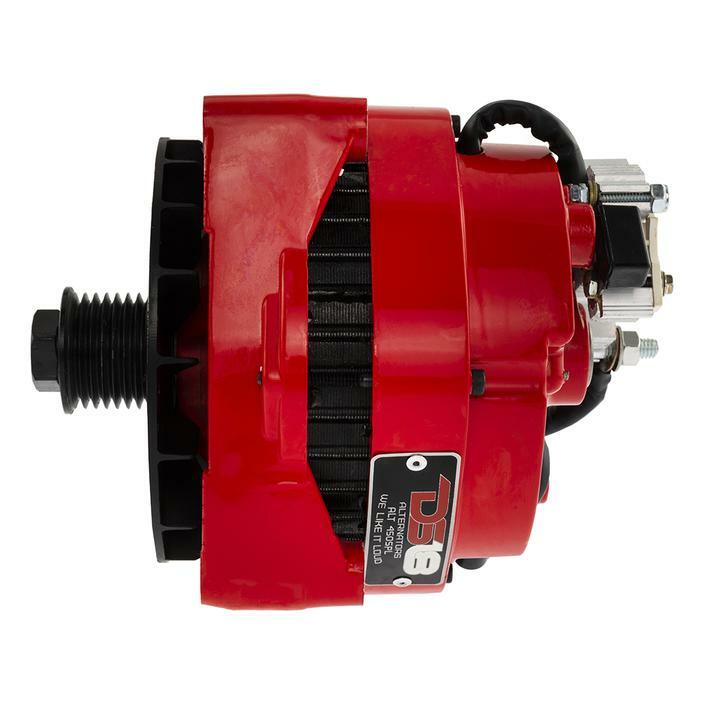 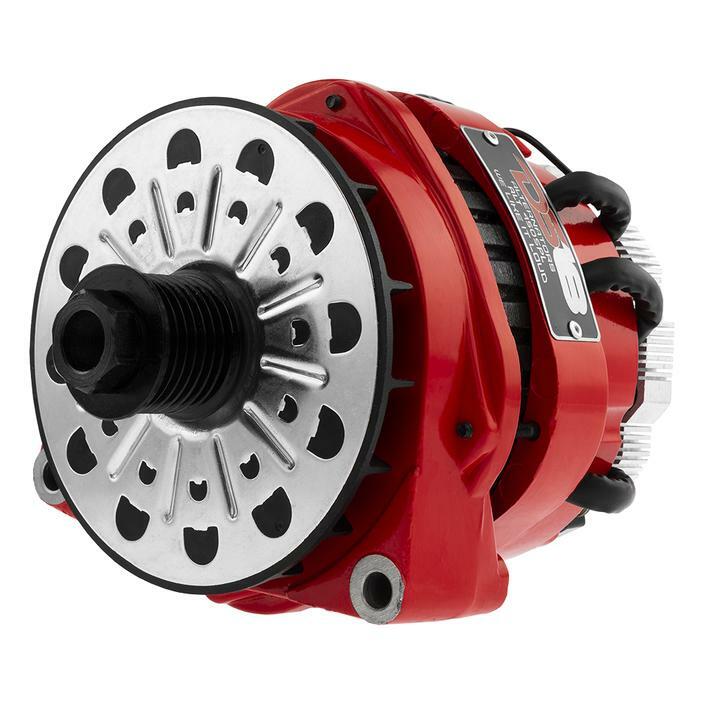 DS18 ALT450SPL Alternator uses plug and play connectors between the adaptor, module and the alternator without using tools; all you have to do is connect the 0 gauge power wires or higher and begin to use it. 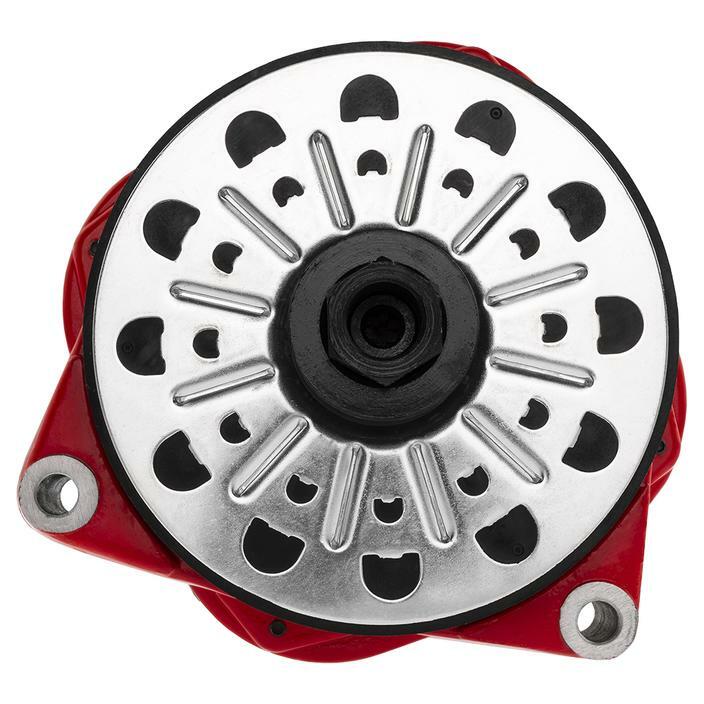 This alternator has mounting brackets (one bolt mount on 5 o'clock and one at 7 o'clock), must be modified for installation on other cars.